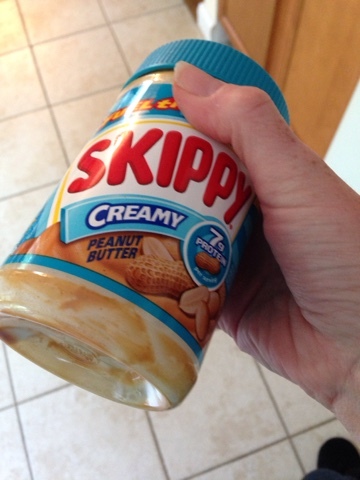 Step 1: Eat as much peanut butter as you can from the jar. 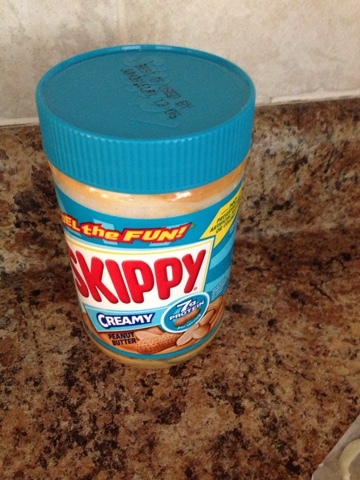 Step 2: Fill the jar half way with warm water, add a drop off dish soap, replace cover, and SHAKE. 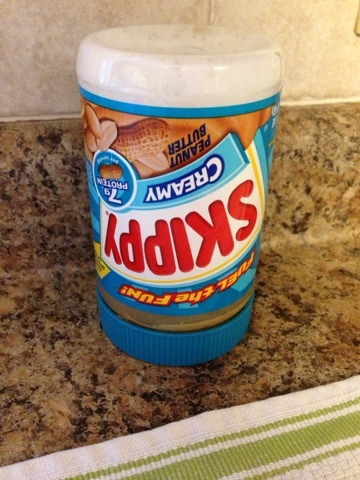 Step 4: Pick up the jar, shake again, then set down upside down. Leave it for another 6-8 hours. 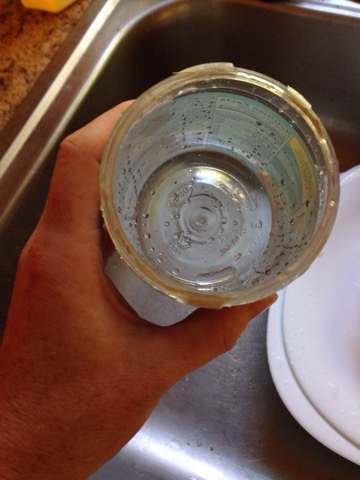 Step 5: Shake, empty, and give a quick rinse to get rid of the bubbles. Voila! 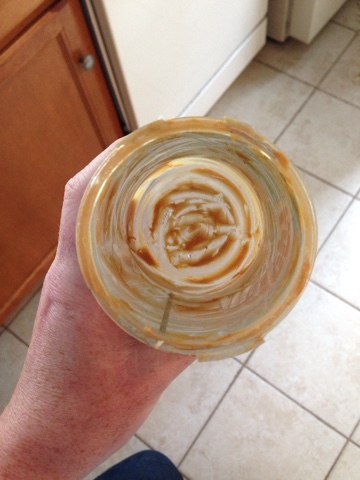 You have a totally clean jar without ever getting sticky or having to do any scrubbing. So overall it is a two day process but it is so easy and is a win for the environment. 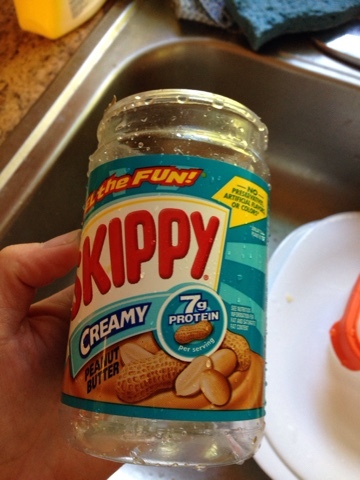 So next time you have an icky, sticky container that you need to clean, give it a try!